It’s tempting to ignore the changes HMRC are making to digitise the tax system. We have the inevitable delays, compounded by a snap general election and all the political disruption that brings. 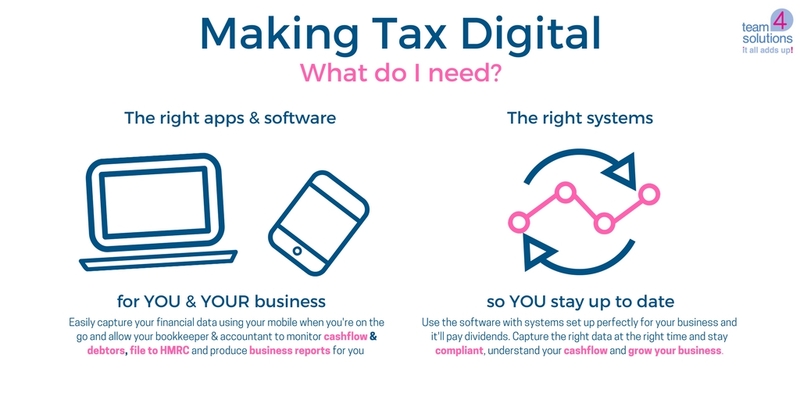 However one thing is certain: Making Tax Digital is happening and it’s our job to help you bring your business in line with the changes. There are benefits for business owners here, the new requirements to use cloud based software and file tax information regularly will help you manage your cashflow and keep your business healthy. The trick is to implement software and systems that make compliance a doddle and that is exactly what we specialise in. Not sure if you have the right software and systems for the coming changes? We can help you with simple solutions that are easy to run. Give us a call on 01825 763378 and let’s chat about it.